Discover the legendary Australian outback on a fascinating northbound journey from Adelaide, through the Red Centre and on to tropical Darwin in the Top End. 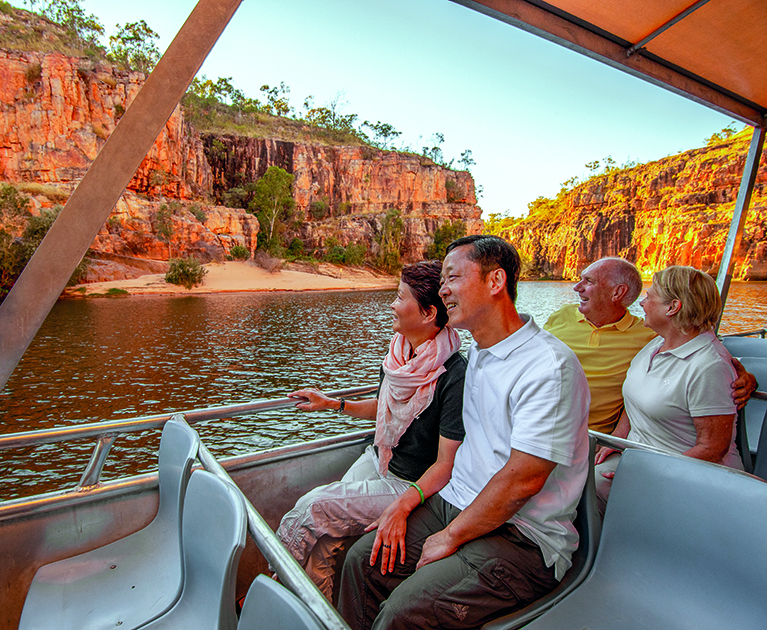 The stunning beauty of Australia’s vast and varied landscapes including the rugged Flinders Ranges, ancient Uluru and Kata Tjuta and the lush wetlands of Kakadu National Park will provide memories to last a lifetime. 25 Jun, 9 Jul, 20 Aug, 3 Sep and 17 Sep 2019, subject to availability. On arrival, today, explore the major sights of the ‘City of Churches’. Later, join a local food expert for a guided tour of the vibrant Adelaide Central Market. 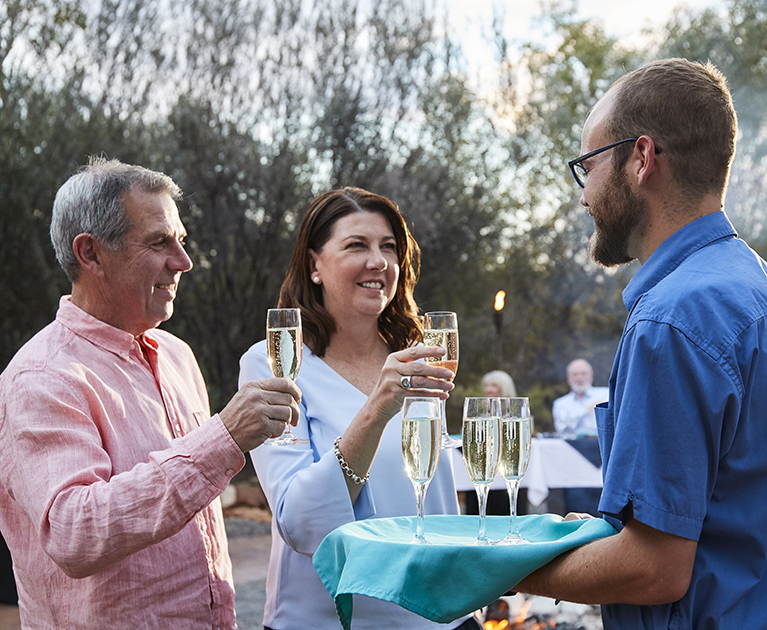 Relax this evening with your Travel Director and fellow travellers at a Welcome Reception and dinner at La Boca Bar and Grill. Advertised prices are person twin share, land only, correct at time of publication and are subject to availability, inclusive of government taxes, airline fees and fuel surcharges and change at any time without notification due to fluctuations in charges, taxes and currency. Offers valid on new bookings only. ^Exclusive discount is included in the advertised price. ¹Fly free offer: Valid from selected departure cities: Sydney, Melbourne, Adelaide, Canberra, Brisbane and Hobart. Surcharges may apply for regional airport departures. Triple Share and Single room options are available, prices on request. This offer is only valid for Australian residents. Passengers will be booked on Qantas, Virgin Australia or Air New Zealand in economy class, pending flight schedules and availability. Airfare will include seat and bag or equivalent. A surcharge will apply if booking class is not available. A $1,300 per person non-refundable deposit plus any airfare surcharge are required at time of booking. Stopovers are not permitted on this fare. After ticketing, changes will incur a penalty fee and is subject to individual airline terms and conditions and fare availability. After ticketing, the airfare component will be non-refundable. Other conditions apply. Please contact your personal travel manager for full terms and conditions. Offer only valid in conjunction with Kings Club Past Guest and Concession Discounts and is not valid in conjunction with any other special offer or promotion. Other conditions apply. Please contact your personal travel manager for full terms and conditions.